European cobalt discoveries could diversify the supply of the battery ingredient, but the Congo still dominates. The lithium-ion battery industry’s dependence on cobalt from the Democratic Republic of the Congo will rise despite ore discoveries in Europe, analysts believe. Caspar Rawles, an analyst with Benchmark Mineral Intelligence, said the percentage of global cobalt supply coming from the DRC was set to go up from 66 percent in 2017 to more than 73 percent by 2023, even though mining firms are rushing to uncover deposits elsewhere. 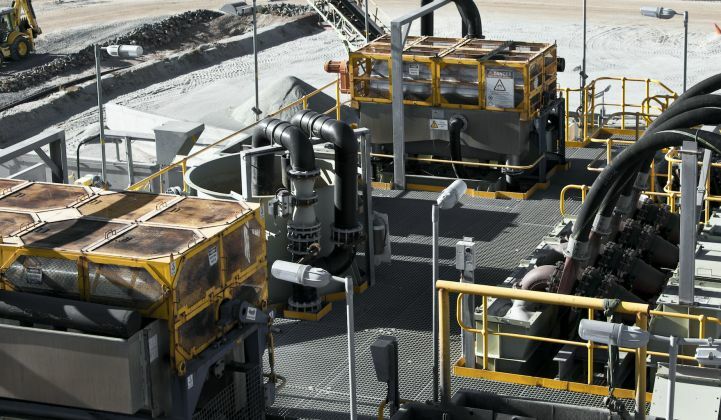 Last month, for example, the Australian production and processing company Lithium Australia announced the discovery of cobalt mineralization at mines in Eichigt, in the state of Saxony in Germany. Griffin said the cobalt "could prove a strategic feed into the burgeoning battery industry” in Europe as a number of manufacturers gear up to build lithium-ion gigafactories. And Lithium Australia is just one of several mineral extraction concerns looking for cobalt in Europe. European Cobalt, which despite its name is based close to Lithium Australia in Perth, is exploring the extraction of cobalt and other materials from two sites in Slovakia and one in Finland. A third Australian firm, Berkut Minerals, has bought up the licenses for three cobalt mining projects in Sweden and one in Norway. And the Canadian mineral exploration company Boreal Metals is also eyeing cobalt extraction in Scandinavia. It has eight projects in Norway and Sweden, where it hopes to recover cobalt along with zinc, nickel, copper, silver and gold. Finally, FinnCobalt, of Hatsola, Finland, is looking to deliver Finnish cobalt into the battery supply chain, with extraction from the Hautalampi cobalt, nickel and copper mine formerly active between 1913 and 1989 in Outokumpu, in the east of the country. With many projects still at an early stage, it is unclear how much cobalt these and other European reserves will be able to deliver. What does seem likely, though, is that any output from Europe will be dwarfed by that from new extraction projects starting up in the DRC. In December, for example, the mining giant Glencore restarted production at the DRC’s Katanga mine, which sits on one of the largest cobalt reserves in the world. The mine, which had been closed since 2015 for upgrades to address historic underperformance, is due to produce 34,000 tons of cobalt a year by 2019. The operation “will soon be the world’s top cobalt miner,” noted Bloomberg in April, although the Glencore subsidiary running the mine is beset with problems ranging from accounting probes to corruption scandals. Elsewhere, Eurasian Resources Group's Metalkol Roan Tailings Reclamation project in the DRC is due to start producing cobalt production at the end of this year, ramping up to more than 15,400 tons per year in 2019, according to Metal Bulletin. And Chemaf, a Congolese firm, is developing a processing plant at its Mutoshi mine that is expected to deliver more than 17,600 tons of cobalt a year. For now, the increases in cobalt production worldwide look sufficient to satisfy growing demand from the lithium-ion battery industry. Europe is expected to become the second-largest region for battery production in the world, after China, said Rawles, with capacity rising from around 7 gigawatt-hours last year to 80 gigawatt-hours by 2023. If all of Europe’s battery plants were to produce at capacity, he said, cobalt consumption would rise from under 5,500 tons in 2017 to around 20,000 by 2023. That’s a big increase, but it could easily be handled by just a couple of the projects coming online in the DRC.